I met cookbook author Elana Amsterdam at a local event I went to, and she kindly offered me copies of her books, The Gluten-Free Almond Flour Cookbook and Gluten-Free Cupcakes. If you've read this blog, you now that I'm not gluten-free, but I'm perfectly happy to try gluten-free recipes if they sound interesting. I mean, flourless chocolate cake is pretty darned good, isn't it? And it seems to me that someone who can have gluten is a pretty good judge of gluten-free baked goods, as well. Where a gluten-free eater can only judge against other gluten-free products, a gluten eater can compare the items to all baked goods. When I saw a recipe for cheese crackers, I was intrigued. I love cheese crackers. But what sold me on trying them was the statement, "Friends tell me these crackers taste like Cheez-its" Oh, really? Okay, to be honest, I sort of hoped they'd taste better than Cheez-its because they have that cheez-powder flavor. I figured that a cracker with real, honest cheese had to be better. Unlike some gluten-free recipes that use a whole pantry full of different flours, this was pretty simple. 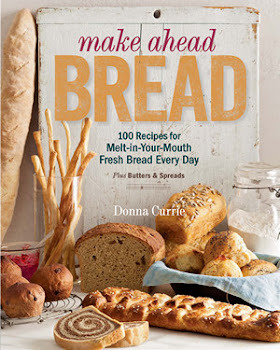 In fact, most of the recipes in this book rely mostly on almond flour. The book specifies the use of a finely ground blanched almond flour. I'm not sure if the one I used was correct, but this particular recipe worked anyway. The crackers didn't break apart as smoothly as I might have wished for, but rustic is good, right? I haven't eaten a Cheez-it in a long time, so I don't know how close these really are. They aren't as dark orange, but that probably has something to do with the type of cheese - or maybe the use of food coloring. But color aside, they're addictive, that's for sure. Gluten or no gluten, they make a nice snack. I cut the recipe in half when I made it. So of course you can double it. Preheat the oven to 350 degrees and have a baking sheet and two pieces of parchment paper handy. In a large bowl, combine the almond flour, salt, baking soda, and cheese. In a separate bowl, combine the egg and oil, and whisk together. Add the eggs and oil to the dry ingredients and stir until everything is combined. Place the dough on one piece of parchment paper, top with the second piece, and use a rolling pin to roll the dough to a thickness of about 1/16 of an inch. Remove the top piece of parchment, slide the other piece of parchment, along with the dough, onto a cookie sheet. Cut the dough into squares with a pastry cutter, pizza cutter, or knife. Bake for 12 to 15 minutes until the crackers are lightly browned. Let the crackers cool on the baking sheet for 30 minutes before serving. ALSO - the hexagonal plate you see there up above is a sample I got (free) from Marx Foods.The plates are made from Adaka palm tree leaf sheaths. (Say that three times, fast.) The sheaths dry out on the plant, then fall off and are collected, so trees aren't being cut down to make these. And they're biodgradable and compostable. You can read How Palm Plates are Made for more details. They're pretty sturdy as well. Marx Food says they hold up to hot and cold foods, and you cut meat in them without going through the plates. I don't know about that - I've only got a few of them and I've been using them mostly for holding tomatoes or fresh fruits and for items I want to photograph. They've all got different patterns to them, so they look kind of interesting. I made the mistake of storing mine in an odd position and they got a little warped, but it's not a big deal. Once I put something heavy enough - like those tomatoes or apples - in there, they flatten out. I suppose I could put something in the empty ones to flatten them, but it hasn't been all that important to me. If I was using them for tableware, I might do that, though. Or maybe just not store them in a warpy position to begin with. I'm not a celiac either...however, gluten-free recipes are more than welcomed. Definitely the crackers look crisp and delicious! I wouldn't mind going gf for a few hours! These look great! Will definitely try them. Just a quick question, I can't find where the winners for the giveaways were announced. Did I miss it somewhere? Catherine - I notified the winners and thought it was better to wait until I heard back from them ... then I got busy and forgot. Thanks for reminding me. I'll get 'em posted. As someone who is gf, I always crave crackers. Thanks for a great recipe. Did you ever think about posting them at glutenfreefeed.com?